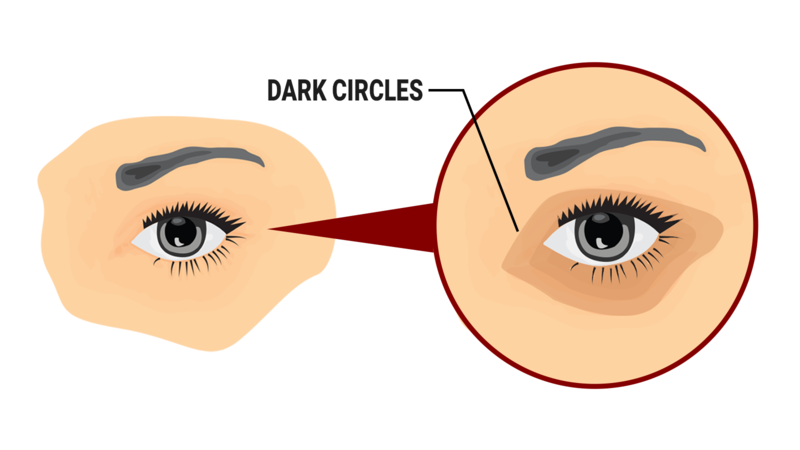 Dark Circles under and around the eye can make you look tired, exhausted and depleted. But the body doesn’t lie, you’re probably feeling that way too, what with work and family commitments, not to mention the daily stresses we all deal with. A lot of women complain about this symptom and Chinese Medicine has it’s own interpretation of what this means. It suggests Cosmetic or Facial Acupuncture as a way to help rectify this problem, naturally. I know when I’m really tired, I get dark rings under my eyes. Then when I sleep better or feel great I don’t notice them so much. Why is that? Well, I was really interested to learn of how TCM looks at this sign. Chinese Medicine has been using Acupuncture on the face for a long time. Acupoints on the face are intended to direct Qi and Blood to the face, help drain swelling or clear sinuses, release tension from the facial muscles and relax the jaw. All of these help in a Cosmetic Acupuncture treatment because these are strategies that help improve complexion colour, reduce tension in the face and change signs of dryness, dullness and puffiness of the skin. 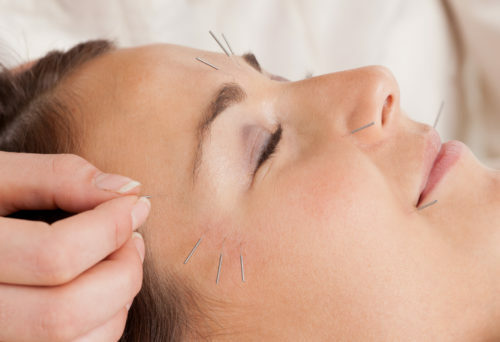 Wherever an acupuncture needle is placed the body’s response is to attract increased blood flow there. The client’s face after a Cosmetic Acupuncture treatment will often looked flushed or pink in colour. This is a normal reaction to Cosmetic Acupuncture. This is part of the benefits and the other is that needling the face stimulates specific cells called fibroblasts that produce more collagen and elastin. This helps the face over 6-8 sessions or more with a natural supporting or “plumping up” of the tissues as the collagen increases locally and blood flow is improved. In areas of stagnation a darkening is a common presentation. Not just in the face but also in other areas of the body. In other areas of TCM diagnosis for example, with Tongue examination, a purplish tongue body colour will be a sign for stagnation, often blood stagnation. Dark colouration means poor blood flow or circulation. Healthy tissue with good blood flow almost always looks pink and bright in colour. So when a fully qualified Acupuncture practitioner sees dark circles under the eyes, Stagnation could be the cause, simply because it signifies poor circulation in and around the eyes. Cosmetic Acupuncture strategy: Use Acupuncture to improve circulation around the eyes, improve blood flow and clear the stagnation. Add in Body Acupuncture points to support moving stagnation including Liver and Spleen Acupoints. The other possible TCM diagnosis for dark circles under the eyes could be a Deficient pattern, often Kidney Deficiency. As this rings true to all of you who DO feel exhausted, drained and depleted. Simply working hard, playing hard, stressing a lot can wear you out physically, mentally and emotionally. It takes it’s toll on your Adrenals (the glands that sit on top of your Kidneys) and exhausts them by overusing Adrenaline. So the tiredness often can show on your face and dark circles is common in these clients. Cosmetic Acupuncture strategy: Use Acupuncture to improve circulation around the eyes. Where do the needles go in Cosmetic Acupuncture for Dark Circles? It varies from person to person, but we would start with points around the orbit, or eye socket. Dark circles under the eyes can be an indicator that you’re tired and run down. But if you’re not sick, seem to be coping with your work and life and feel relatively healthy, Cosmetic Acupuncture could be something extra to help your face look and feel more vibrant, have a healthy colour and better circulation. 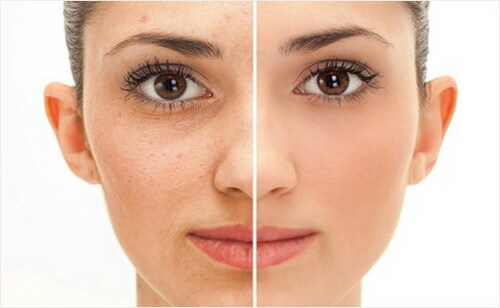 Chinese Herbal Medicine can also be a positive strategy for either moving stagnation or tonifying deficiency to help your complexion improve. But the difference with Cosmetic Acupuncture is that it is more direct.